Trying to access a meditation from our most recent 30 Day Challenge? They are no longer available for free, but you can purchase them (& get exclusive bonuses) below. Make these 30 Day Challenge Meditation audios a permanent part of your collection, so you can meditate on your own schedule. This simple download makes it easy to meditate on your own schedule with all of the 30 Day Challenge Meditation audios. 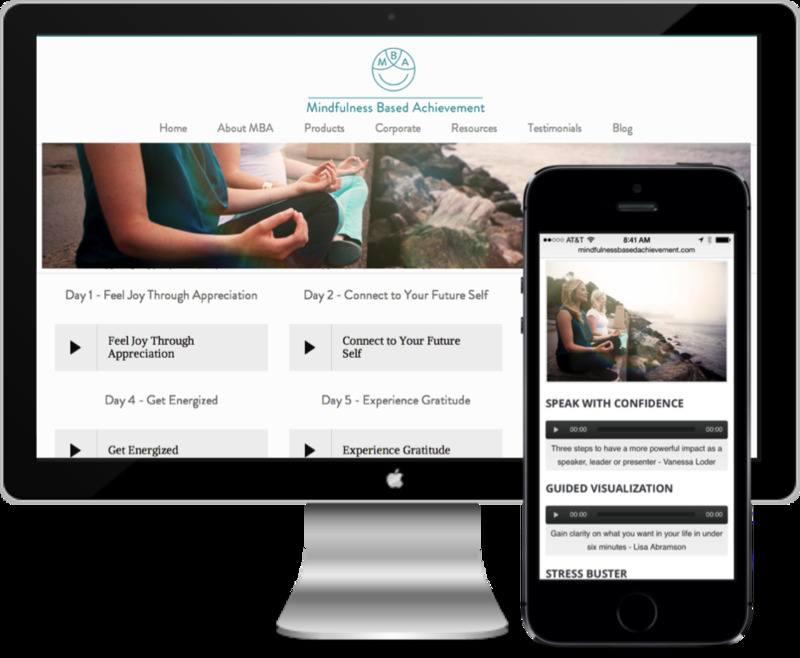 - 30 Day Meditation Audios use sound healing music created by Mytrae Meliana to support your body and mind in deep relaxation and healing on a vibrational level. I have been using the Deeper Sleep audio as well as some of your other guided meditations regularly. They work like a DREAM, literally! Love, love, love them! They make me feel better about life! Thank you so much for sharing these powerful audios! I'm so excited about what Vanessa and Lisa are doing with Mindfulness Based Achievement! Ladies, the deep sleep meditation is awesome. Thanks!!!!!! I really do feel refreshed. I woke up before my alarm clock and feel great.